*Livestream begins Wednesday May 30, 2018 at 1pm. Registration for this event closes on Friday, May 25 at 10AM. There will be no stand-by line on the day of the event. Pre-registration and valid I.D. are required for entry. No backpacks or purses larger than 8" x 5.5" will be allowed in Korn Convocation Hall. We will not be able to check and keep bags in another room. Anyone with bags larger than the specified size will not be able to enter the venue. No exceptions. Attendees are permitted to bring cell phones into the hall. Please arrive with ample time to spare since there will be a security check at the door. For security reasons, all members of the press must pre-register. Anyone who does not, will be turned away. All cameras larger than 8" x 5.5" and all bulky items associated with media must be set up inside the venue by 11:30 am when a security sweep of the venue will occur. Merging the overt world of Hollywood with the covert mission of CIA, this panel seeks to demystify the CIA's mission by comparing what's seen on TV to what happens in reality. Former CIA officers will join the acclaimed creator and actors from FX's The Americans on-stage for a lively discussion about the facts vs. fiction of espionage, CIA tradecraft, and living under cover. Joe Weisberg worked at the CIA from 1990-1994. He spent most of that time in training. Joe did brief stints in three of the geographic divisions in the Directorate of Operations, including the Soviet/East European Division, and the Near East Division’s Afghan Task Force. He also spent several months in the Agency’s Operations Center, where on his very first day, he accidentally answered his boss’ phone, and found the Director on the other end. With everyone in the Operations Center staring at him, he briefed the Director on an unfolding crisis in the Caucuses. After that, he learned to use the phones. Joe completed language training in Spanish, worked on a covert program in Latin America Division, and eventually left the Agency for personal reasons before going on his first assignment abroad. After leaving the Agency, Joe never planned to write about espionage. In fact, he felt it would be a betrayal of his friends to do so. But after about a decade, his views softened on the matter. He wrote a spy novel, An Ordinary Spy, and then a TV pilot about a CIA Station in Bulgaria that never got made but started his career in Hollywood. 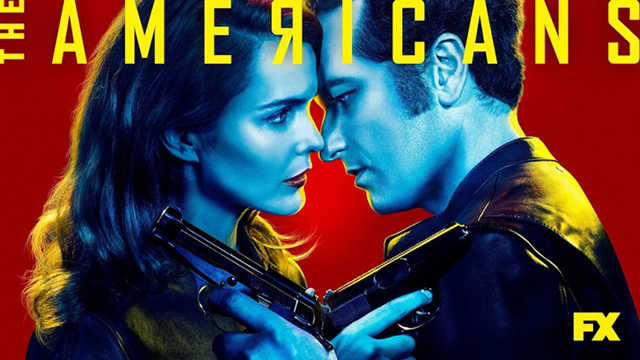 His next major project, The Americans, is finishing its final season on FX. The story of KGB illegals in America in the 1980s, it gets three of his greatest passions – espionage, Soviet studies, and marriage – into one TV show. A familiar face to audiences worldwide, Keri Russell has starred in a number of major motion pictures, independent films and television shows. Russell can currently be seen on the critically-acclaimed FX series The Americans, which is the story of Elizabeth (Russell) and Philip Jennings (Matthew Rhys), two Soviet KGB officers posing as an American married couple living in the suburbs of Washington, D.C. during the Cold War era of the 1980s. For the show, Russell has received four Critics’ Choice Award nominations for Best Actress in a Drama Series, one Golden Globe® nomination for Best Performance by an Actress in a Television Series – Drama, and two Emmy® nominations for Lead Actress in a Drama Series. On the big screen, Russell starred alongside Matthew McConaughey in The Free State of Jones for director Gary Ross. Prior to that she was seen in the hit summer film Dawn of the Planet of the Apes, which reunited her with director Matt Reeves, who created Felicity with J.J. Abrams. Russell’s other film credits include Austenland, Dark Skies, August Rush, The Girl in the Park, Mission Impossible III, The Upside of Anger, We Were Soldiers, Mad About Mambo, Dead Man’s Curve, Eight Days A Week, Leaves of Grass, Goats, Bedtime Stories with Adam Sandler, Extraordinary Measures with Harrison Ford, and of course, the romantic film Waitress, for which she received rave reviews. Russell first garnered attention when she starred in the title role of the hit television series Felicity from J.J. Abrams. Just four months after the show’s acclaimed premiere on the WB, she was honored with a Golden Globe® Award for Best Performance by an Actress in a Drama Series. Some of Russell’s other television credits include the miniseries Into the West, executive produced by Steven Spielberg, the Hallmark Hall of Fame Presentation The Magic of Ordinary Days, Running Wilde with Will Arnett and The All New Mickey Mouse Club. In 2005, Russell made her Off-Broadway stage debut in Neil LaBute’s play, Fat Pig. Matthew Rhys has earned rave reviews for his portrayal of “Philip Jennings” opposite Keri Russell on the critically acclaimed FX drama series The Americans, on which he has also directed. For his performance, Rhys has garnered nominations for a Golden Globe® Award and two Primetime Emmy® Awards for "Outstanding Lead Actor in A Drama Series.” This year, he also received an Emmy® Award nomination for "Outstanding Guest Actor in a Comedy Series” for his work on the final season of HBO's Girls. Rhys also starred for five seasons as "Kevin Walker" on ABC's hit television series Brothers & Sisters. On the feature side, Rhys was last seen in Steven Spielberg's The Post, in which he stars as Pentagon Papers whistleblower “Daniel Ellsberg,” opposite Meryl Streep and Tom Hanks. He recently wrapped Warner Bros.' Mowgli, directed by Andy Serkis, starring Christian Bale, Benedict Cumberbatch and Cate Blanchett. Rhys can also be seen in Burnt opposite Bradley Cooper and recently starred as the poet Dylan Thomas in John Maybury's film, The Edge of Love, opposite Keira Knightley, Cillian Murphy and Sienna Miller. Martha “Marti” Peterson retired from the CIA in 2003 as a Senior Intelligence Officer with an extensive range of experiences over her 32-year career. She was deployed worldwide as an operations officer, serving her first overseas tour in Moscow, USSR, 1975-1977. Among her operational positions, she was assigned to the Soviet Division, the Counterintelligence Center focusing on analysis and counter espionage, and finally the Counterterrorism Center, where she spent her last five years of her career, managing extensive operations surrounding the 9/11 attack on the US. For her contributions to the CIA, she was awarded the Distinguished Career Intelligence Medal, the CIA's William J. Donnelly Award, and the George H. W. Bush Award in Counterterrorism. Her childhood and education would not have portended her career with CIA. Following her early years in suburban Connecticut outside New York City, Marti studied sociology in a small college. Her master's degree at UNC offered her an opportunity to teach in a community college in the Piedmont tobacco-raising farmland of NC. Through this time, she continued dating her college sweetheart, and after they married, he took her to Laos in the early 1970s to participate in the secret CIA war there. His death there at age 27 led her to the beginnings of her own CIA career. Marti was featured in the first season and first episode of CNN's outstanding series DECLASSIFIED. The series, now in its third season, brings to life the true stories of America's covert operations told firsthand by the actual people who were involved in the operations. The series is hosted by Mike Rogers, a former US Congressman and House Intelligence Chairman, who believes Americans should be made aware of these successes by US intelligence. Marti wrote The Widow Spy, recounting the first seven years of her career with CIA. She has received great praise for the book, as she has spoken to a wide variety of audiences, including the Coast Guard Academy cadets, retired officers with the Royal Canadian Intelligence Service in Ottawa, The George H.W. Bush School of Government and Public Service at Texas A&M University, and the Association of Former Intelligence Officers (AFIO) in Kennebunk, ME, and Washington, DC. The Widow Spy is being published in Russian as well as produced as an audio book in 2018. Mark Kelton is the Director of MEK & Associates and a retired senior Central Intelligence Agency (CIA) executive with 34 years of experience in intelligence operations. Mr. Kelton's career included more than sixteen years of overseas service, to include four assignments in key CIA field leadership positions. He concluded his career as the Chief of CIA's Counterintelligence Center. Directing CIA's counterintelligence and counterespionage programs, Mr. Kelton led the team that protected the nation's most closely guarded secrets. Mr. Kelton has comprehensive expertise in intelligence operations, international security issues, detection of insider threats, assessment of counterintelligence risk, and crisis management. Mr. Kelton is a recipient of the CIA Distinguished Intelligence Medal, the CIA Distinguished Career Intelligence Medal, the Director of National Intelligence Distinguished Service Medal, the CIA Director's Award, the 2015 Presidential Rank Award of Meritorious Senior Intelligence Officer, the CIA Intelligence Medal of Merit, the CIA Directorate of Operations Donovan Award and numerous other honors. An Adjunct Assistant Professor in the Security Studies Program of the Edmund A. Walsh School of Foreign Service, Georgetown University and at the Daniel Morgan Graduate School for National Security, Mr. Kelton is an Advisory Council Founding Member for the H.R. McMaster Center for Security Studies at Valley Forge Military College; is on the Advisory Boards of AppGuard and SHINE Systems; is Board Chair of the Spookstock Foundation (which benefits the CIA Memorial Foundation and the Special Operations Warrior Foundation); is on the Insider Threat Subcommittee of the Intelligence and National Security Alliance; and is an Advisor to the Chertoff Group. Mark is a regular contributor to The Cipher Brief, writing on intelligence and national security issues. Costa Ronin reprises his role as “Oleg Igorevich Burov,” on FX's critically-acclaimed drama series The Americans. In 2014, Ronin worked with Academy Award®-winning actress Halle Berry in the CBS sci-fi thriller Extant and had a guest role on ABC's Marvel's Agent Carter. In 2015, Ronin filmed an episode of Scorpion for CBS, The Player for NBC and Agent X for TNT opposite Sharon Stone. During a hiatus in 2016, Ronin shot roles on The Strain (FX), Shooter (USA) and Gotham (FOX), as well as the indie feature Brighton Beach, directed by David Gutnik and produced by Molly Connors. Born and raised on the West Coast of Russia, Ronin developed a passion for sailing at the age of five, a hobby he shared with his father and grandfather. He began exploring his love of the arts and performing when he worked at a local radio station teaching English to his listeners through music while absorbing American culture through international radio waves. A move to New Zealand changed his focus as he enrolled in a local university to study International Relations and Political Science. Not giving up on his artistic aspirations, he immersed himself in the performing arts, training and earning notable roles in a number of local Australian productions. He continued to expand his theatrical resume with a one-man show entitled The Wall, and starring roles in Traitors, The Visit and Noir. His breakout on-screen role came with the award-winning TV series The Circuit, followed by his feature debut opposite Josh Lucas in Red Dog, Australia's highest grossing film. In his free time, the Los Angeles resident rides his motorcycle on the city streets and loves to sail and travel the world.